Available for a limited period! Dive into Japan's most famous anime shows with Cool Japan Express Passes only until 23 June 2019! No waiting required - skip the long line with the Cool Japan Express Pass, which reserves a timeslot for you! It was definitely worth going to the Conan Escape. It was very fun especially if you are fans of Detective Conan. Even if you never watched Detective Conan before it would still be an excellent experience. I am glad we ordered on Klook so we didn't have to line up to buy the tickets. 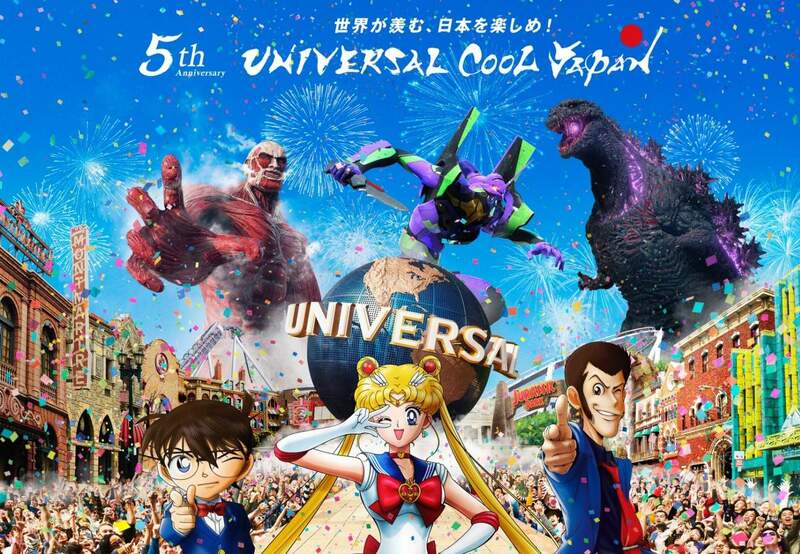 Universal Studios Japan is yet again celebrating 5 years of Cool Japan with its biggest event yet! Universal Cool Japan is an annual exclusive Japanese Pop culture event where special themed attractions are introduced. From January 18 to August 25, you can now enter the realm of renowned and timeless Japanese anime shows, such as 'Lupin the Third', 'Detective Conan', 'Attack on Titan', 'Sailor Moon, 'Evangelion', and 'Godzilla'. Try the Conan-themed escape game packed with puzzles, or walk around the park to solve cases in a detective-style mystery challenge during the spring. 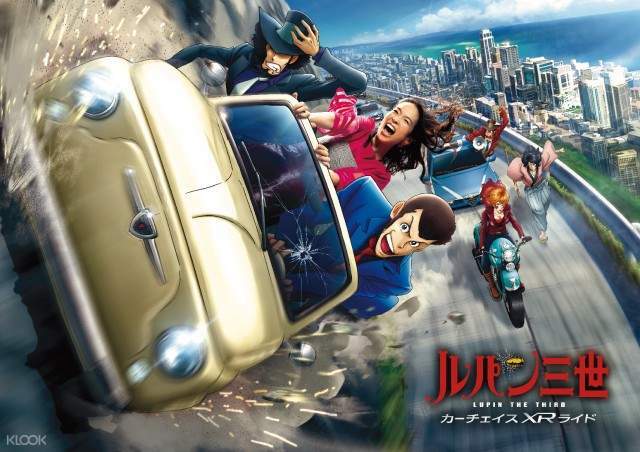 Over at the Lupin the Third side, be entertained with the XR Ride and an entertainment restaurant. During the summer season, try the first collaborative attraction of Godzilla and Evangelion, and follow the story of Sailor Moon in a cool, further developed attraction. The best part? You get to skip right through the long lines with your Express Pass! conan was great and lupin is rather short but fun. overall conan is more worth the money paid. just scan your pass n you are on way. easy and convenient. conan was great and lupin is rather short but fun. overall conan is more worth the money paid. just scan your pass n you are on way. easy and convenient. It was definitely worth going to the Conan Escape. 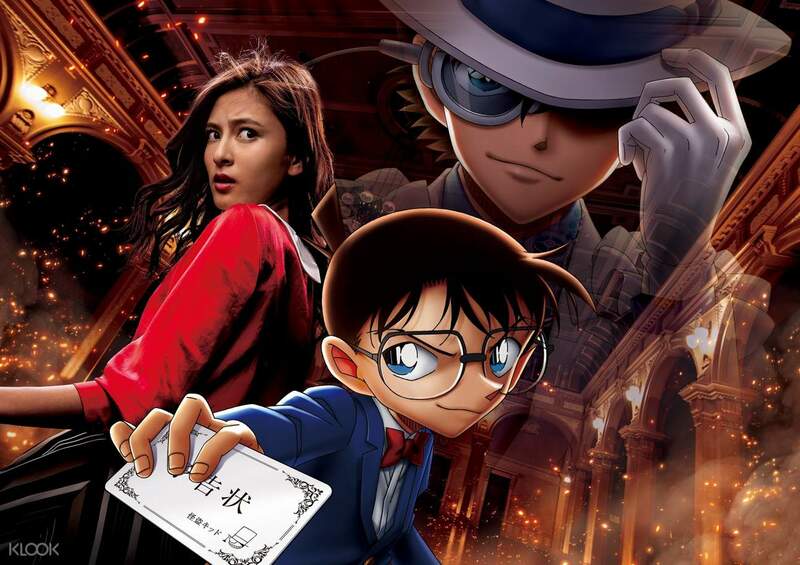 It was very fun especially if you are fans of Detective Conan. Even if you never watched Detective Conan before it would still be an excellent experience. I am glad we ordered on Klook so we didn't have to line up to buy the tickets. It was definitely worth going to the Conan Escape. It was very fun especially if you are fans of Detective Conan. Even if you never watched Detective Conan before it would still be an excellent experience. I am glad we ordered on Klook so we didn't have to line up to buy the tickets. Omg not only was this just as easy as buying it and scanning it when you got up to the event but the Conan Escape room was so amazing and cool! They give you an iPad with english instructions so you can play along! The play is all in Japanese but the iPad has a summary of the events that happen so you’re not lost AND if you like the show you can easily follow along! Omg not only was this just as easy as buying it and scanning it when you got up to the event but the Conan Escape room was so amazing and cool! They give you an iPad with english instructions so you can play along! The play is all in Japanese but the iPad has a summary of the events that happen so you’re not lost AND if you like the show you can easily follow along! Detective Conan is great!!!! Amazing experience... There is Chinese and English available, though the storyline is acted out in Japanese, it is easy to follow. Detective Conan is great!!!! Amazing experience... There is Chinese and English available, though the storyline is acted out in Japanese, it is easy to follow. If you are visiting USJ, I suggest taking this package as well. The ride and the mystery challenge was indeed exceptional! Will definitely do this again in the future releases! If you are visiting USJ, I suggest taking this package as well. The ride and the mystery challenge was indeed exceptional! Will definitely do this again in the future releases! GREAT DECISION IN BUYING THE COOL JAPAN EXPRESS!! I had a great time... Easy Access. GREAT DECISION IN BUYING THE COOL JAPAN EXPRESS!! I had a great time... Easy Access. Lucky bought the ticket from klook All special event ticket was sold out on date! Lucky bought the ticket from klook All special event ticket was sold out on date! very easy to use the eticket!!!! will buy again mext time!!!! very easy to use the eticket!!!! will buy again mext time!!! !